This extremely cosy appartment with over 90 sq.m. 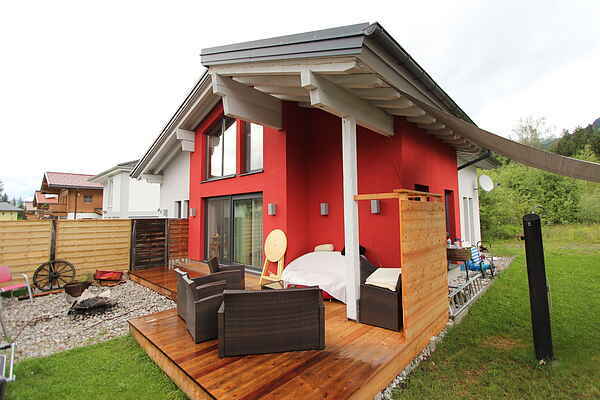 invites you to spend a few days or weeks in the beautiful town of Kitzbühel. Tastefully furnished bedrooms as well as the large kitchen and spacious living space make it an exceptional holiday property. In the summer, you'll enjoy spending a lot of time in the fenced garden. In summer and winter alike, the apartment offers perfect access to events in the surrounding area. Hiking, skiing, mountain biking, and much more can be reached by car in just a few minutes. Despite its central location, the apartment is on a fairly quiet street, so you can relax in peace after a busy day. The ski resort Kitzbühel-Kirchberg has received several awards and offers an unparalleled slope quality in the winter season. In addition, a number of large and small ski areas are just around the corner and can be reached quickly by bus, train or car.